Diving with sharks is the ultimate dream for most scuba divers. As the apex predator of the oceans, sharks command a lot of respect and getting up close and personal with them is a truly incredible experience. Divers are spoilt for shark encounters in the Bahamas. Caribbean Reef Sharks are everywhere (some of them surprisingly large) but there is also a host of other shark species that are fairly common around the islands including hammerheads, nurse sharks, lemon sharks, tiger sharks and silky sharks. There are a few locations that boast regular visits from Whale Sharks but nowhere seems as reliable as Ningaloo Reef, Western Australia. For several months each year, regular as clockwork, Ningaloo Reef is overrun with greedy young male Whale Sharks guzzling their way through the reef, on their way north to breed. 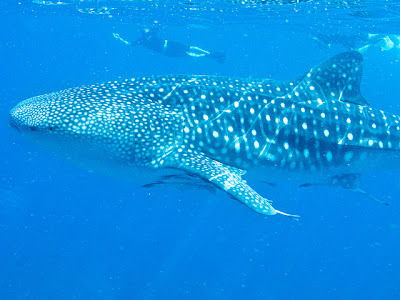 It is not uncommon to see several Whale Sharks in one day. Local Whale Shark operators use spotter planes to locate them. 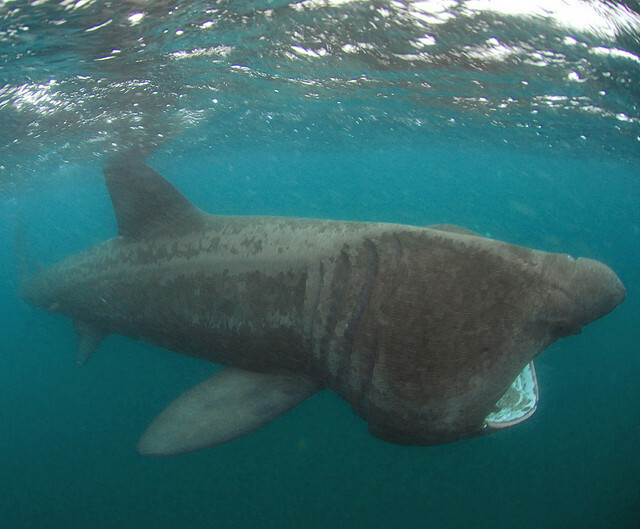 Port Lincoln in South Australia is the place to go if Great Whites are more your thing. Great White Sharks are the most feared shark species and cage-diving with them has become a popular activity in several places around the world. Gansbaai, near Cape Town in South Africa is one of the world’s Great White capitals due to a very healthy local seal population (nothing like convenient meals, eh?) The water is chummed to attract the sharks and sometimes a short wait is necessary. The water is cold but the experience of being face to face with these incredible creatures is definitely worth it. The south California coast also offers white shark diving experiences. Have you been bewitched by those amazing photos of divers near shoals of circling fish? Well, imagine those fish being Hammerhead Sharks. There are so many hammerheads at the Brothers Islands in Egypt that they are frequently seen swimming in such formations. The UK makes an unusual entry on this post as most people don’t think of it as a ‘sharky’ diving destination. However, I like to offer something for everyone and if you prefer your sharks without teeth then head out diving off the British coast to meet Basking Sharks – doing their bit for shark PR everywhere! Would you like to swim with sharks? Which ones do you want to meet?